‘Inequality’ is a meditation on the American Spring, on power and the lack of it. The narrative begins with the re-use of a workman’s drop cloth. A well-trod canvas, embellished with paint, scuffs, holes, layered in the sediment and dust of labor. 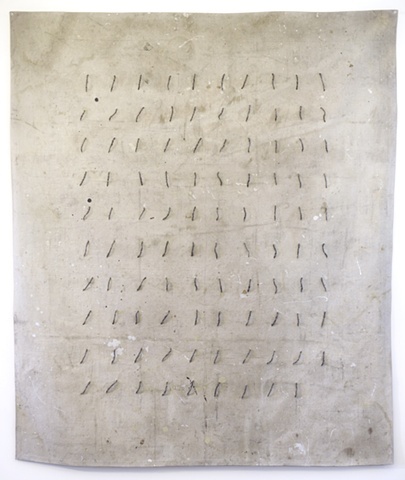 This simple drop cloth was obtained from a laborer working in Chicago neighborhoods over the course of 2011.